Metabolic Vibrance is a blend of concentrated natural foods rich in trace nutrients, polyphenols, essential minerals, carnitine, plant extracts and antioxidants recognized to help in the maintenance of normal blood glucose levels. Take 3 capsules one or two times each day or as directed by a health professional. Capsules may be taken either with or between meals. Note Control of blood sugar is highly individualized. Effective dosage can vary among persons. 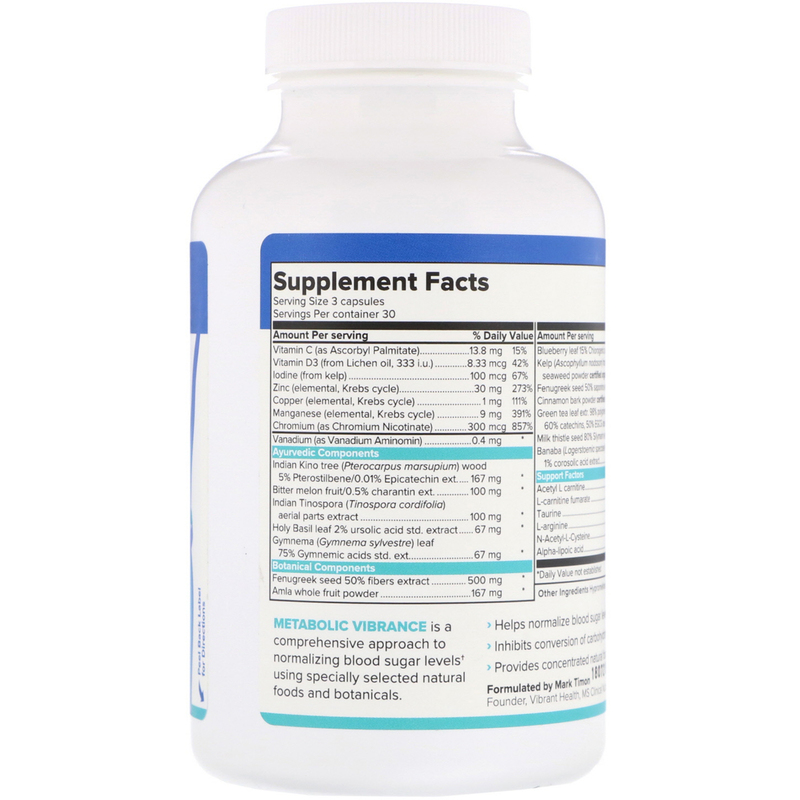 This product may be used with or in place of Metabolic Vibrance Powder. 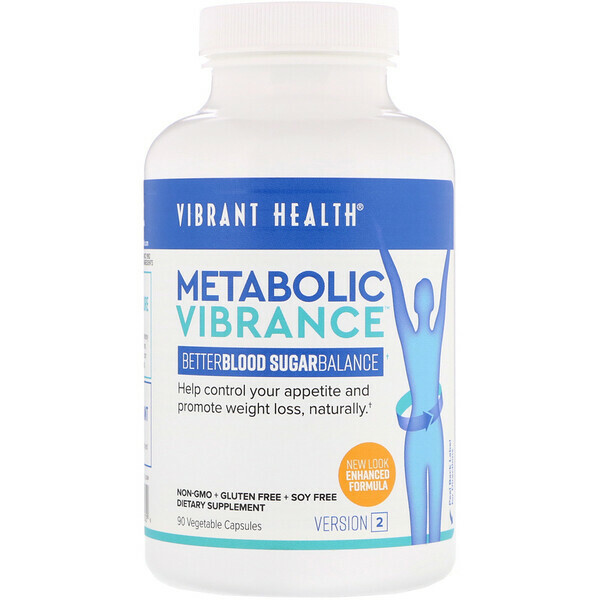 Metabolic Vibrance (MET) may improve insulin efficiency. Diabetics on insulin should consult their doctor before taking MET, and monitor blood glucose carefully when using MET. You may need to adjust personal insulin dosages to compensate for improved utilization. Do NOT exceed nine capsules per day except on the advice of your health professional. If you are pregnant, breast feeding, taking any prescription medications or have a medical condition, consult your physician or healthcare professional before taking this product. Keep out of reach of children.